Shoreline Star Greyhound Park is the only dog track in the state of Connecticut. 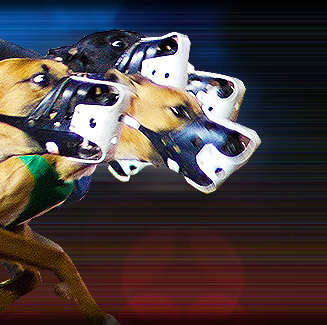 The beautiful track is located in Bridgeport and offers live and exciting greyhound races. It also simulcasts thoroughbred, harness, greyhound and jai-alai action from other tracks in the United States. Spectators can watch live racing from tables along the trackside. These tables are complete with individual closed circuit television monitors for race replays and other race information. Jai-alai simulcasts are held in Shoreline Star Greyhound Park's Cancha Theatre. The theatre has stadium-style seating and brand new giant projection screen televisions. Shoreline Star Greyhound Park is located at 255 Kossuth Street, Bridgeport, Connecticut, USA.